A one of a kind Amulet. 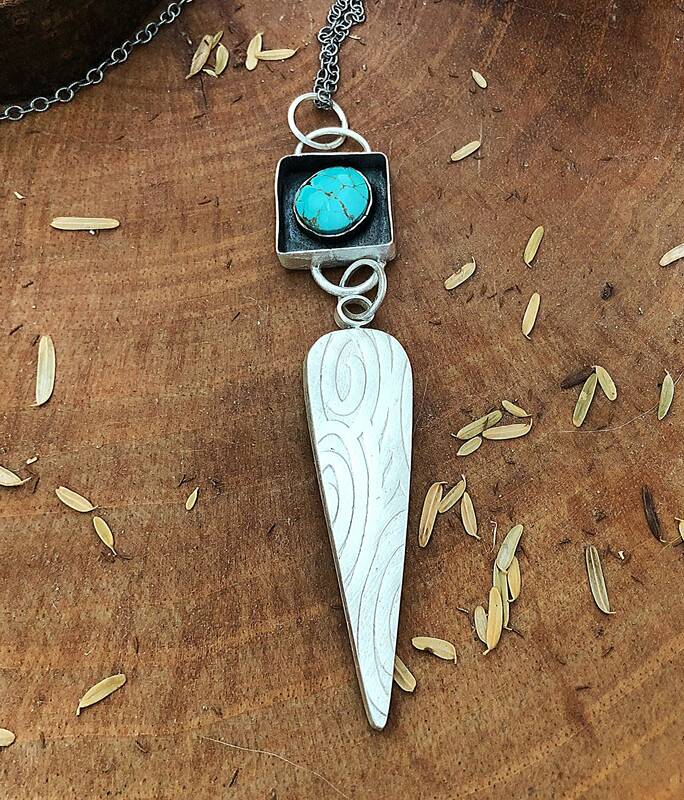 This is a hollow form I created from sterling silver and a La Elisa Sonora turquoise cabochon. 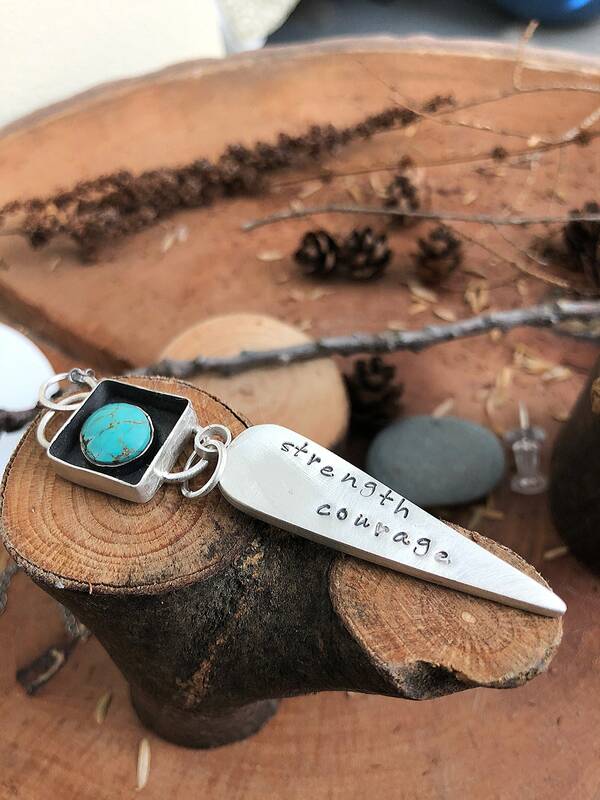 The front of the pendant has a soft organic pattern and on the back (closest to the heart) I have hand stamped the words; "strength" and "courage". 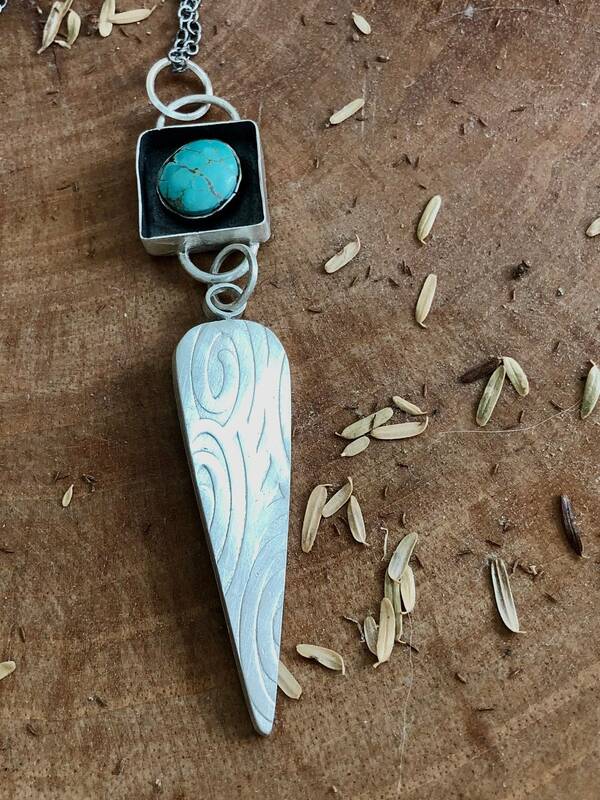 This piece was inspired by the India Arie's song - "Strength Courage and Wisdom"
The pendant measures approx. 3' long. and comes on a 20' oxidized sterling chain. You may request a different length chain.